New hearing aids in Devon at the Honiton hearing centre. We are used to new hearing aids arriving from various manufacturers all year round, but when something is really new and exciting we love to tell you and our existing clients why we are so excited. Hearing aids have evolved in recent years. Digital hearing aids have made the devices so small and powerful they are no longer what people expect to see. The huge hearing aid of old is getting less visible these days, the new as powerful hearing aids are now tiny. If you are looking for new hearing aids in Devon, we are the place for you! The tech inside these little wonders are amazing on so many levels. Take one of the many things they can do. They can connect to your mobile phone and you can talk wirelessly without the phone in your hand as if you were talking to a person next to you. The hearing aid is catching your voice and transmitting this to your phone via bluetooth. You can hear perfectly as your hearing aid is in your ear so you don’t have to really listen hard to get what the conversation is. It’s all done without you doing anything. This tech isn’t new, it has been around for some years, but if your hearing aids are not ”Connected” versions, then maybe when you are next due a new set of hearing aids, you can ask to be told of what’s new in this ”Connected” world. Colin Eaton the lead audiologist at Honiton hearing will be happy to show you and explain all about what is new and on offer. He will also show you how you connect your new digital hearing aid with various tech such as mobile phones, ipads, and the T.V. make your appointment with Colin now by calling Sam on reception or use the booking form here. Semtech Corporation (Nasdaq: SMTC), a supplier of high-performance analog and mixed-signal semiconductors and advanced algorithms, and Sonova, a developer of hearing care solutions, announced a jointly developed advanced radio system. The ultra-small integrated circuit (IC) is said to be a main component for a new generation of hearing aids, enabling support for multiple radio protocols in the 2.4GHz band, as well as effective operation on very low power, according to the announcement. We have shot a new video on how hearing aid batteries need to be looked after and the differences in them. Little nuggets of info that you may, or may not know, on how to get the most of your hearing aid batteries. If you need hearing aid batteries in the Honiton area then pop in and buy what you need, or if you need help in any way we will be glad to show you. Honiton hearing centre, for the very latest digital hearing aids. Looking for information on how what hearing aids would suit you or what you need? Book an appointment with the Honiton hearing centre and have a full spectrum hearing test done. Once the test has completed Colin Eaton will sit with you and discuss the results. Once they results are know he will then go through what the different types of hearing aids (if any needed) are good for your hearing loss. There are many hearing aids available form many different manufacturers. The Honiton hearing centre are an independent hearing centre, covering the whole of Devon and Somerset. We are not affiliated to any manufacturer so can offer you what you need rather to what we sell. We can access all the major manufactures hearing aids for you to choose from. Click here to watch what type of hearing aids do you need? 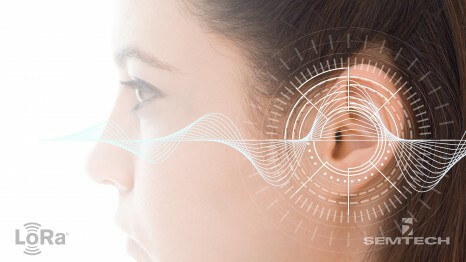 A new scientific report, “Hearing Loss – Numbers and Costs”, concludes that untreated, disabling hearing loss costs 185 billion Euros (US$211 billion) in the EU each year. This represents 8,200 Euros (US$9335) each year per person with an untreated disabling hearing loss. The detailed findings and conclusions in the report will be presented at a lunch debate at the European Parliament in Brussels, Belgium, on the March 6 in connection with the WHO World Hearing Day on the 3rd of March. How they arrived at the 185 billion Euro figure. According to the report, lower quality of life due to disabling hearing loss costs the EU 130 billion Euros (US$148 billion) each year. Lost productivity in society due to a higher unemployment among people with a disabling hearing loss costs 55 billion Euros ($63 billion) each year in the EU. In total, this is 185 billion Euros. The cost does not cover extra health care costs caused by hearing loss. A disabling hearing loss is defined by the Global Burden of Disease research group (GBD) as a hearing loss of 35 dB or greater. In Europe as a whole—including non-EU countries—untreated, disabling hearing loss costs 216 billion Euros (US$246 billion) each year, says the researchers. The report documents that the use of hearing aids and other hearing solutions improves health and increases quality of life. It also documents that people with an untreated, disabling hearing loss are at greater risk of social isolation, depression, cognitive decline and dementia, while people who treat their hearing loss do not experience a higher risk than people without hearing loss. 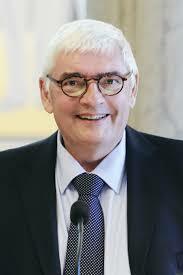 There are 34.4 million people with a disabling hearing loss (35 dB or greater) in the EU. More than 22.6 million are not treated for their disabling hearing loss as only around 1 in 3 in Europe with a disabling hearing loss use hearing aids or other hearing solutions. This is more than the combined population of Austria, Finland, Ireland, and Lithuania. With a steadily aging population who live longer and with an earlier onset of hearing loss due to increased noise exposure, this growth will increase even further in the years to come, warns Hear-it. A meta study. The report, “Hearing Loss–Numbers and Costs”, is a meta study which has analyzed and compared hundreds of scientific studies and papers in the last two decades about the prevalence and the consequences of hearing loss and the use and benefits of hearing aids, according to the organization. Check your hearing. World Hearing Day is held by the WHO on the 3rd of March each year to raise awareness of how to prevent deafness and hearing loss and promote ear and hearing care across the world. The theme for World Hearing Day 2019 is “Check your hearing”. “If you think you might have a hearing loss, my best advice is to get your hearing checked,” says Ruberg. 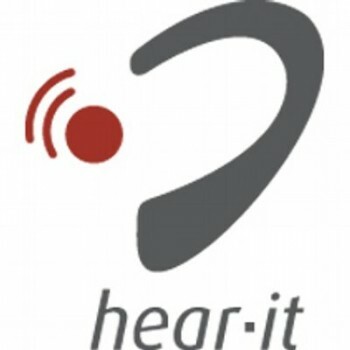 “You can start by checking your hearing using the WHO “Check your hearing” app, or test your hearing online at www.hear-it.org. But if you suspect that you have hearing problems my best advice is that you get a real hearing test carried out by a hearing professional,” says Ruberg.